#stampinup #faithfulinkspirations Happy New Year everyone! I hope you had a wonderful holiday season spent with family and friends. Our family had a nice, quiet Christmas, spending time together and just relaxing. 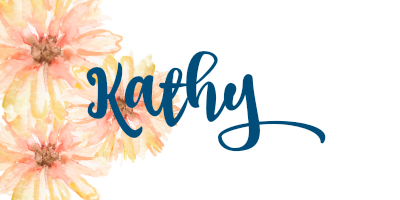 The new year is just about to start and I'm excited to share with you some projects made with products from the Stampin' Up Occasions and Sale-a-Bration catalogs. We made these projects at the OnStage event in November and I've been waiting ever so patiently to share them! But first, a word from our sponsor. The most wonderful time of the Stampin' Up year is almost here--Sale-a-Bration starts on January 3rd and runs through March 31st. Whenever you purchase $50 in Stampin' Up product, you earn one Sale-a-Bration product! Such a great deal!! If you host a party or "event" during Sale-a-Bration, you can earn additional FREE product depending on your sales. And if you join during Sale-a-Bration, we have some awesome incentives! More on that later this week. Now let's see the first project! This project is made with goodies from the Classic Garage Suite. I LOVE this suite because my dad raced stock cars in his youth and worked on stock cars for as long as I can remember. This suite reminds me of him! 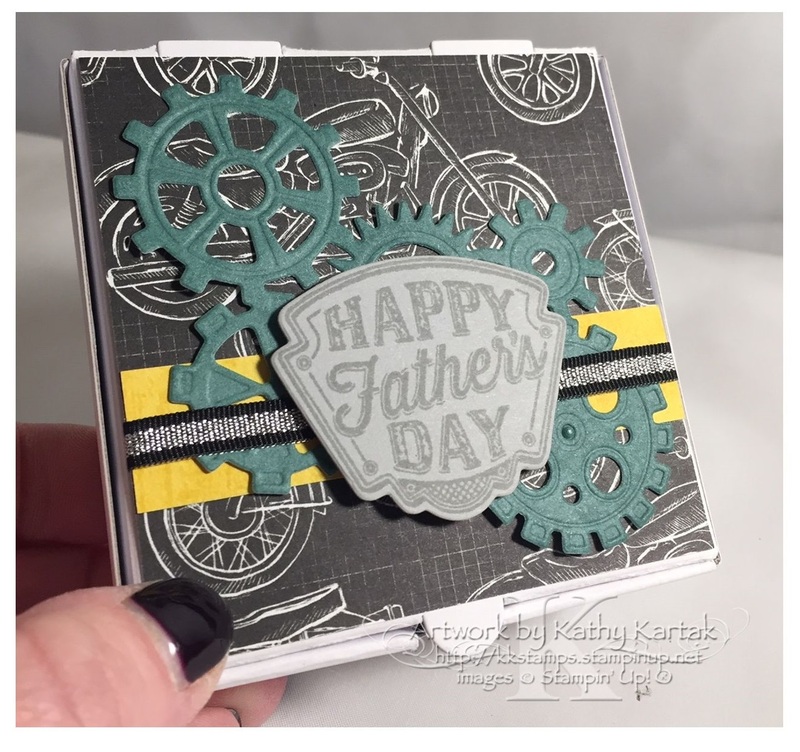 We started by stamping the sentiment from the "Geared Up Garage" stamp set in Basic Gray Ink onto Smoky Slate Card Stock. We cut it out with the matching Garage Gears Thinlit Die. We cut the gears from Tranquil Tide Card Stock using another of the Garage Gears Thinlits Dies. Next, we adhered a 3/4" by 3-5/8" strip of Crushed Curry Classic Garage 6" x 6" Designer Series Paper to a 3-5/8" square of another sheet of this DSP. We adhered the gears to this and then wrapped a length of Black/Silver Striped Metallic Ribbon around before adhering everything to a Mini Pizza Box. We adhered the label to the box with Stampin' Dimensionals. If you're not too tuckered out from your New Year's Eve festivities, come back tomorrow for another super project made with new Stampin' Up goodies! And I'll tell you all about our fabulous new CLING stamps!! Reminder: You can't buy the Occasions products until January 3, 2019, but after that time, you can click on these thumbnails and go right to my online store to purchase them! The Annual Catalog items are available now!